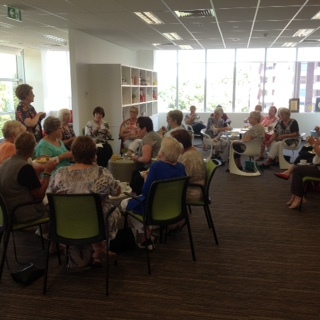 Thirty five members of the Group met at the RCH on Saturday 14 March for a tour of the public spaces. CIKA has been the beneficiary of fundraising from this amazing group of women since 1989 and last Christmas their donations surged over the $100,000 mark; a fantastic amount from a group of women who meet socially. The group was split into two and were accompanied by Steve and Sandra Lehrer and the wonderful Mary McGowan. The tour leaders were the CEO from The RCH Foundation, Sue Hunt, and Laurel-Leigh Lawson from Auxiliaries. 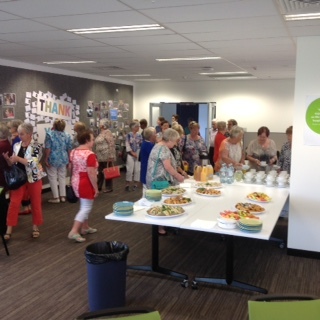 At the end of the tour the group enjoyed a light lunch, hosted by Sue in the newly opened Foundation facilities which will be available to all such groups. Sue also delivered the thanks of The Foundation for the great contribution of this group to the RCH.